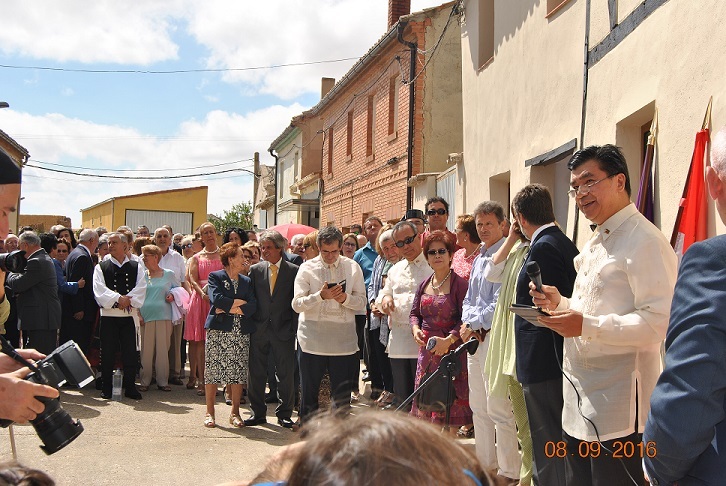 Consul General Emmanuel R. Fernandez (Charge d´Affaires, a.i., of the Philippine Embassy in Madrid) graced the inauguration of the newly renovated Casa-Museo de Fray Felix Cuadrado in Villasarracino, Palencia, Spain last September 8, upon the invitation of Hon. Constantino Antolino Gonzalez (the Alcalde-Presidente of Villasarracino). The President of the Provincial Government of Palencia (Hon. Angeles Armisen), the Director General of the National Police (Hon. 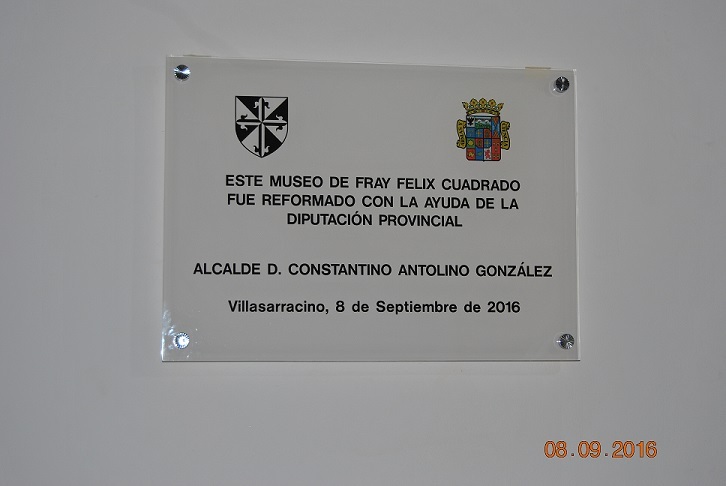 Ignacio Cosido) and other civil, religious and military authorities of the province of Palencia were also there to mark the occasion. In his speech, Consul General Fernandez underscored the role that the Philippines played in the life of Fray Felix Cuadrado, a Spanish Dominican friar who served in the Philippines as a religious missionary before proceeding to China, where he was eventually martyred for his Catholic faith. ConGen Fernandez expressed his belief that Fray Felix Cuadrado´s varied experiences in the Philippines contributed much to his spiritual and moral preparation for the martyrdom that awaited him in China. ConGen Fernandez further noted that the role that the Philippines played in the life of Fray Felix Cuadrado is only one among the many things that Spain and the Philippines share in common. He then expressed his hope that the ties of friendship and cooperation between the Philippines and Spain would continue to be broadened and strengthened through the years, and that the Province of Palencia would be a major part of this undertaking. After the inauguration, ConGen Fernandez and his delegation were invited to visit the church of Villlasarracino which holds a sizable collection of Philippine-made religious vestments, statues and other spiritual artifacts. 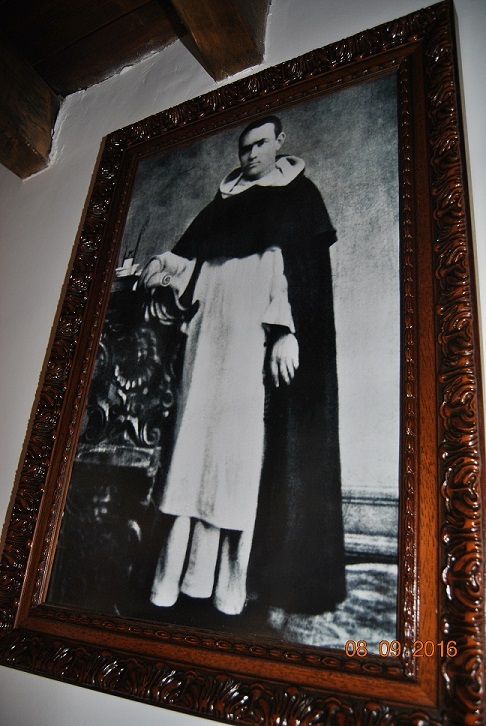 These were brought to Villasarracino by Fray Felipe Bravo Andres, who used to serve as the Provincial of the Dominican Province of the Holy Name of Jesus in the Philippines.